Here are some commonly asked questions about pregnancy test cards answered. How do pregnancy test cards work? Home pregtest card [ HPT] detects if you are pregnant by identifying a hormone called hCG – human chorionic gonadotropin in the urine. This hormone is created by the cells that will grow into the placenta. It initially enters the bloodstream while the matured egg starts to implant in the uterine lining. This can be as early as 5 – 6 days after the fertilization is done. The hCG amount in your body swiftly increases over the next few weeks, occasionally even increasing to twice its amount in two to three days. When the card detects the hormone in the urine, it shows the positive sign. How soon can one take the HPT? Some brands claim that their pregnancy tests kit is highly sensitive and can give you positive results as early as five days even before you would expect your menstrual cycle. Some may even have enough hCG produced in them to be detected. If you are anxious after getting a negative result, you can always take another one later if you still haven’t got your periods by then. If you are testing for pregnancy with an HPT, then make sure you use the mornings’ first urine sample for better accuracy. Many women buy pregtest card and expect 100% accurate after testing it on the day you expected your periods. However, there is a much chance that an accurate result may not be found on the day of the missed period itself but by waiting for a few days and then taking the test. How do I use home pregnancy test? After checking the expiration date, take it out of the wrapper. As the morning urine is the more concentrated, it is best if you use that sample for testing. You can either urinate in a cup and dip the pregnancy tester in it or you can just directly urinate on the test card. In both methods, you dip the chemical strip of card in the urine. The tests may also vary is showing the results. Some cards show double red or blue lines; meanwhile, digital ones will state if you are pregnant or not. If the test card doesn’t show any results for more than 10 minutes, it may be faulty. If the pregnancy test shows a negative or a faint positive sign then, you must take one more test in a few days or week after, if you still haven’t got your periods. One possibility is that you may have ovulated a few days later in the cycle than you thought and took the test too early to get a positive result. 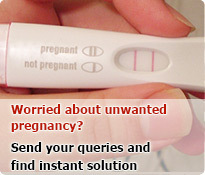 So it is better to double check to see if the pregnancy test is showing you the accurate result. Can a pregnancy test card show the false result? If you have had a miscarriage or did an abortion in a few days before taking the test, you could see a false positive result. This is because it takes more than 4 weeks for pregnancy hormones to go away even if the pregnancy has ended. 5. Where can I get pregnancy test card? You can access many brands of pregtest cards from any drugstores. Many women even buy online pregtest card for cheaper deals. This entry was posted in pregtest card and tagged Buy Pregtest Card, Online Pregtest Card, Pregnancy Tester, Pregnancy Tests, Pregnant Test, Pregtest card on November 10, 2017 by admin.